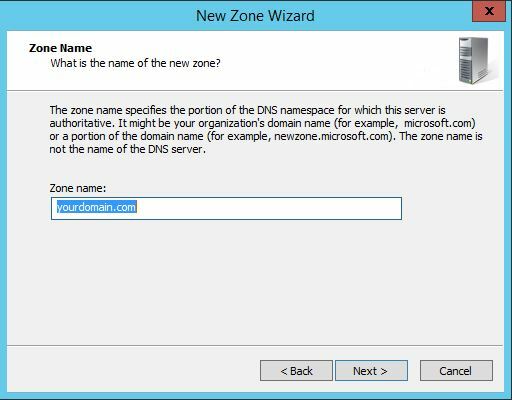 In this how-to we will walk you through Configuring DNS in Windows Server 2012. Domain Name System (DNS) is a system that translates a Domain name to the IP address that is associated with it over the World Wide Web. 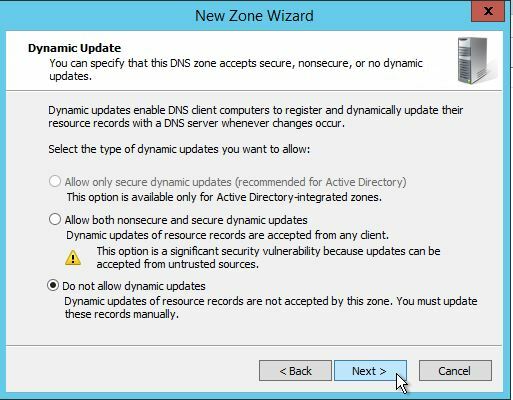 Once the DNS Server role is installed, it needs to be configured for your domain. 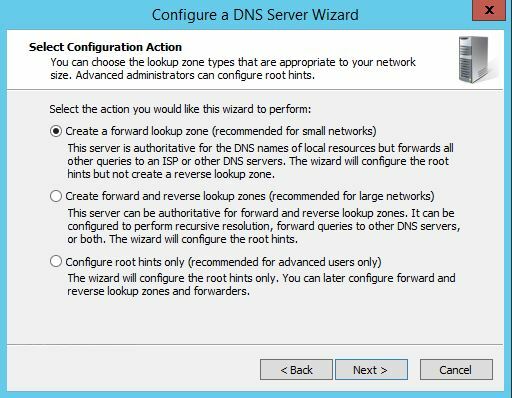 – DNS Server Role installed on your server. 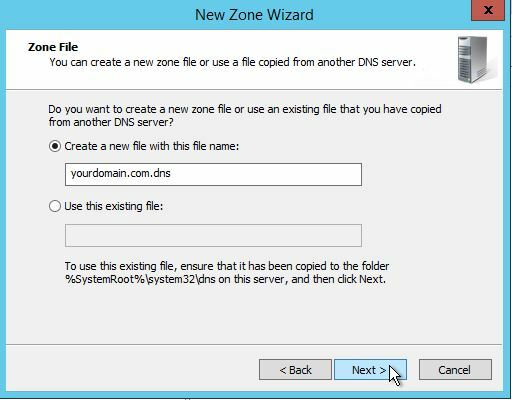 See the following article “Install DNS in Windows Server 2012” if you do not have the DNS role installed. Open the Server Manager from the task bar. 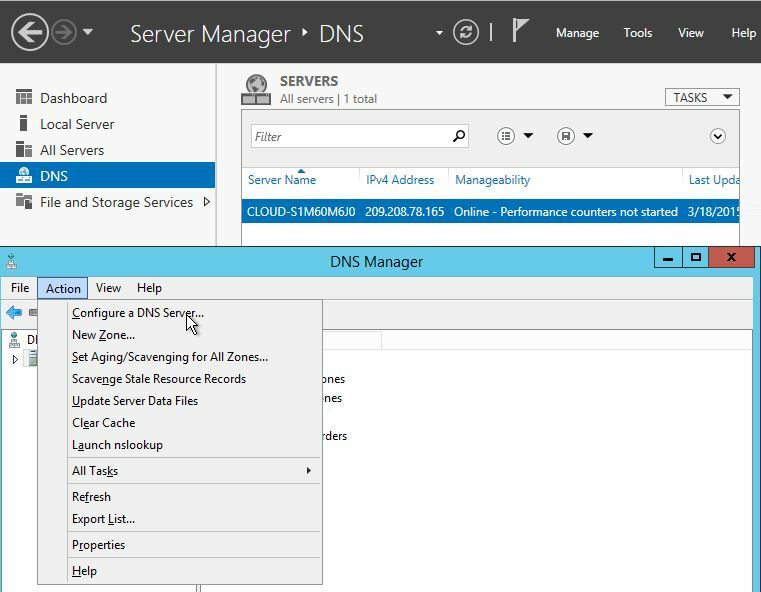 Click on DNS/ Right Click your server / select DNS Manger/ Click the Action Tab/ Select Configure a DNS Server. 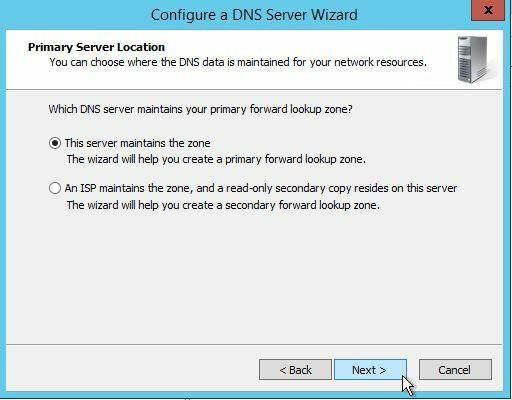 A forward lookup zone is a DNS function that takes a domain name and resolves it to an IP address. A reverse lookup zone is a DNS function that takes an IP address and resolves it to a domain name. Root hints only Will have the IP addresses of DNS servers where records can be acquired. Enter your new zone name, in this case, your domain and Click Next. Next you select how your server will respond to Dynamic Updates. 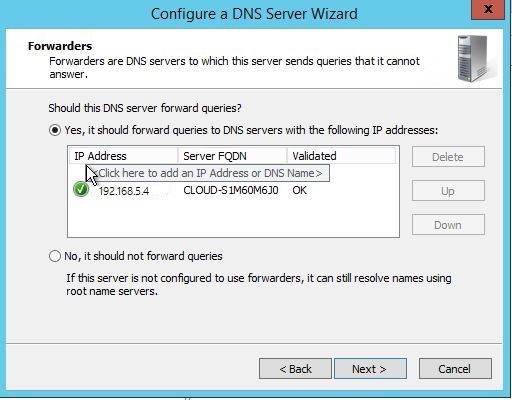 Select whether your DNS server should forward queries or not. If you choose YES, type the IP of the server and click Next. If NO, select No, it should not forward queries and Click Next. Click Finish and you’re all set. Congratulations! 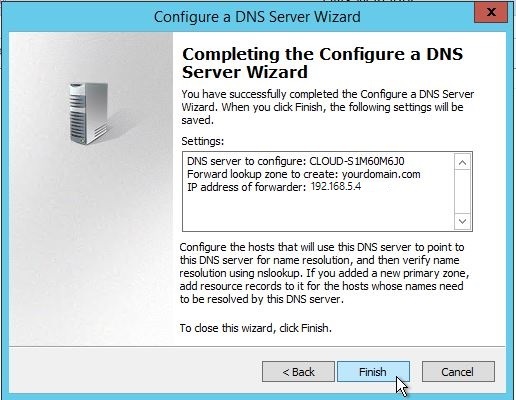 You have just Configured DNS in Windows Server 2012. Thank you for following along in this How-To feel free to check back with us for any new updates.